Milton grew up in a village called Kinver in the West Midlands UK. He had piano lessons from around the age of seven and then went to King Edward's Grammar School in Stourbridge at the same time as Robert Plant. Milton got into the pop/rock phenomenon of the sixties, bought a cheap guitar, taught himself the basics and started playing with friends. His cousin John got a bass and they formed a band in Kinver called Amplimotum. ( A lousy Latin attempt for "more motion"!) The line up: Hugh Williams Vocals, Roger Pound guitar, John Wiles bass and Glynn Amphlett drums. They drove the villagers crazy rehearsing in the wooden girl guides hut and started to get gigs. They got good enough to cut a demo and headed off one summer with a few tents and music gear to Torquay where they hung out until a local promoter gave them a few gigs in Devon and Cornwall. After that Milton teamed up with local guitarist Frank Dudley and soon had a soul band called The Jump, firstly a four piece: Eddie Edwards on Bass and Paul Plympton on Drums and later joined by Phil Savage on Vocals. This was a great little band and were rapidly working. 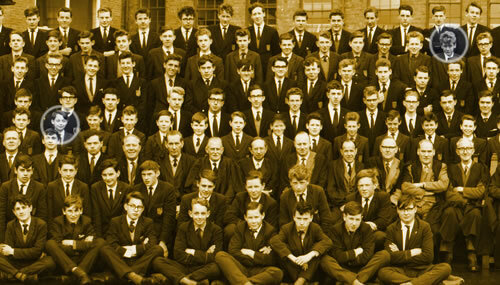 Milton was also trying to take 'A levels' and naturally that side had slipped so he had to give up music for a while. Milton realised from some older musicians that the lifestyle was precarious and so focussed on his science 'A levels' and went to the University of Bradford where he studied Colour Chemistry. Milton then went to work in Essex as a trainee chemist and had a room in a house where Milton met Steve Nice. Steve and Milton played a few folk clubs with both on guitar. One night Milton played a piano and Steve was impressed. Milton went back to Uni to finished his degree. Milton kept in touch with Steve and was invited to join his new band Cockney Rebel in July 1973. He was by now Steve Harley and had an EMI record deal. They recorded the first album "Human Menagerie" and the first single "Sebastian" with classic keyboard arrangements and performance by Milton was released. It didn’t do much in the UK but got to No.1 in Holland and Belgium. They recorded a second Album "The Psychomodo" in early 1974 and released a second single "Judy Teen". Gradually a massive UK tour built up and Judy Teen started to rise up the charts. One appearance on Top of the Pops helped it get to No. 5 in the UK charts. Sadly, they couldn’t come to a satisfactory business arrangement and the band split mid-way through the tour. Nothing much was said at the time and the band finished the tour as session musicians. They said goodbye on the steps of Abbey Road studios and were never to meet up again. Paul Jeffreys was the bass player in Cockney Rebel and he and Milton became close friends and decided to continue to play together, which they did until Paul was tragically killed on the fateful Pan Am flight 103 over Lockerbie. They had teamed up with an old friend of Milton's called Simon Foxx from his Midland's days and joined Bill Nelson in a new version of Be-Bop Deluxe. They had supported Cockney Rebel on Tour so were already mates. They managed to get a few gigs and a demo session, but EMI told Bill Nelson to get rid of Paul and Milton. This version of Be-Bop Deluxe sounded too much like Cockney Rebel and probably didn’t fit in with their investment plans for Rebel. Milton's world split permanently in two camps. He had worked a lot at University on musical theatre and had a few theatre contacts. Milton started writing music for theatre and soon had a hit with "Venus and Superkid" (1975). Written by Richard Crane, writer in residence at the National Theatre. It started in the small Arts Club Theatre in the West End and then got moved onto the Roundhouse in North London. Milton continued to work in many theatres and shows and wrote a musical of “Oor Wullie” from the Scottish Sunday Post (1979). That too started small and then did a large Scottish tour. Pat Doyle who played Wullie is now a composer in the film industry. Milton has worked on and off for the theatre ever since, doing two shows for the National Theatre (Hello Dali and Good Old Pop). Paul and Milton meanwhile built up their own band called The Violins with Jeff Faulkner on guitar and Malcolm Ashmore on drums who played on Venus and Superkid. 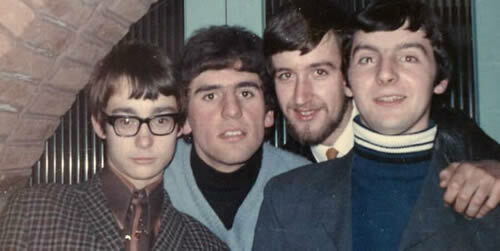 They went through several line ups firstly with vocalist Rob Elliott and released a single of "You really got me", the Ray Davies classic. Then the line up changed with Ray Doyle on vocals until The Violins merged with East London band the Warm Jets and had a few years success on the London pub and club circuit. One single "Sticky Jack" was the first single released on Bridgehouse Records, the first pub to have it's own record label and "Big City Boys" followed two years later on the RSO label. The line up was Milton keyboards, Maciej Hyrobowicz guitar, Paul Jeffreys Bass, Dave Cairns Drums and Paul Balance vocals. 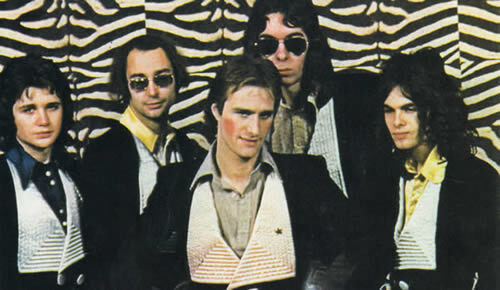 The Warm Jets later renamed themselves The Electric Eels and had a single "Don’t Wanna go to Moscow" And a EP with "Not in Love with the Modern World", "Jellied Reggae" and "Double Complications". These were released on Elton John's Rocket Label. Meanwhile Milton was getting session work and did some gigs with The Leyton Buzzards, who had a hit with "Saturday night beneath the plastic palm trees" They later became Modern Romance and the single of the same name was his last commercial release. With the help of theatre friend and co-writer Kevin Williams (Paradise Club, BBC TV 1989 and Guys and Dolls, National Theatre). Milton started what has become the passion of his life, his own recording studio. For many years Milton recorded music for other people and did the odd job for friends in the theatre. After one major studio upgrade, one of the main clients, songwriter Tim Fraser recorded a song called "Falling" which got onto Tina Turner's Twenty Four Seven album (1999). In 2000 Milton decided to make an album based on ideas around animals. He got help from session friends and released "Top Banana" as an independent online release. Kevin Williams brought an idea to Milton of a musical journey through the colours of the rainbow all linked and using information about the colours and their relation to music. The first version was performed at the Manchester Royal Exchange Theatre and given as a dance performance. It was then decided to update it using a lot of modern keyboards and was mostly instrumental. Milton also started to work with Jeff Ellis. Jeff started helping with the Warm Jets and soon became a part time road manger. He soon started working with Milton as co-producer and engineer on Rainbow Ride. Together they reworked the whole piece and brought in vocalist Bianca Kinnane, ( who had won "Stars in their eyes" and worked with Pete Waterman). It was performed at the Edinburgh Fringe festival in 2008 with Asian dance troupe Dance Ihayami. Following on from Rainbow Ride, Milton finally found his own original voice. Milton loved working with linked musical keys and the modern computer generation of music production. Jeff Ellis was called in again for production and together with Nick Pynn (ex Cockney Rebel musician) playing a wonderful selection of acoustic instruments. They created a new album based on the signs of the zodiac and again called on Bianca Kinnane for vocals along with French folk singer Gillian Cadier. The album was released in 2010. Milton and Jeff Ellis co-creators of Zoodiac completed writing and recording the full soundtrack to the film " Lords of London" starring Ray Winstone and Glenn Murphy in 2011. The film won the World Cinema Award at New York's Hells Kitchen Film Festival in September 2011 and had it's European première at the Lucerne Film Festival in October 2011. The 2016 release again sees the successful collaboration of Milton and Jeff Ellis. It is a much more gentle and ambient project that explores the sonic textures of modern software synths. This release builds soundscapes that work comfortably with both relaxing at home and commercial soundtracks. In 2017 Milton wrote two nunbers for a large scale musical "Cardinal Sins" which premiered at the Centrestage Theatre in Seattle USA. Directed by John Henry Davis and written by Alan Bryce (Oor Wullie), it was enormously well received and all concerned are hopeful for future productions. In 2018 Milton was invited by Cologne based singer Guido Dossche to provide keyboard parts for for his latest project called "Trost". The parts were recorded in Milton's London studio and then transferred online to producer Steve Van Velvet in Berlin where they were added to the tracks.